Required for persons who grow, produce, process or otherwise offer for sale green coffee beans and roasted beans. The main prerequisite for this type of licence is that dealers must exhibit a farm or production capacity of at least 6000 boxes of cherry coffee or more per crop year. They are also required to hold a Trademark User Licence. Required for persons who buys and sells roasted beans or ground coffee from licensed Coffee Dealer and are permitted to do so in their own label. Special Coffee dealers are prohibited from trading in green beans and are also required to hold a Trademark User Licence. Required for persons who process, clean, or otherwise prepare for sale, coffee berries. To obtain a works licence, the dealer is also required to have valid licence under the Factories Act and Natural Resources Conservation Authority Act. Required for persons who operate nurseries that cultivate Arabica Typica and other recommended varieties of seedlings, for sale to farmers. Required for persons who intend to import finished coffee products only. Required for persons who operate outside of Jamaica and trade in green or roasted coffee beans. As a prerequisite, the Foreign Importer must state the name(s) and address(es) of the local supplier(s) of green or roasted beans, who must possess a valid Dealers Licence. They are also required to state the name(s) and address(es) of person or entities to which the green or roasted coffee beans will be supplied. Foreign Importers are also holders of a Trademark User Licence. 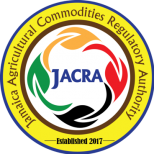 Required for dealers and foreign importers that utilize their own labels and are authorised to use the Jamaica Blue Mountain and High Mountain Supreme Trademark. Trademark User licensees may (subject to approval) grant sub-licences for the use of either registered trademarks.